Kadey-Krogen Yachts are strongly built trawlers 44 to 58 feet in Taiwan. Kadey-Krogen Yachts are built with a fine entry and wine glass transom offering superior sea keeping abilities. The hulls are massively built and reinforced with Twaron fiber, the same as used in bullet-proof vests. Kadey-Krogen is the only yacht builder to use this material in hull building. The interiors are large and well suited for live-aboard life styles. Kadey-Krogen Yachts are excellent candidates for a Great Loop cruise. Contact Us for more Kadey-Krogen Yachts information. 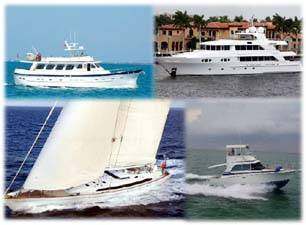 Contact Us to get Kadey-Krogen Yachts information and to see one of these trawlers for yourself.